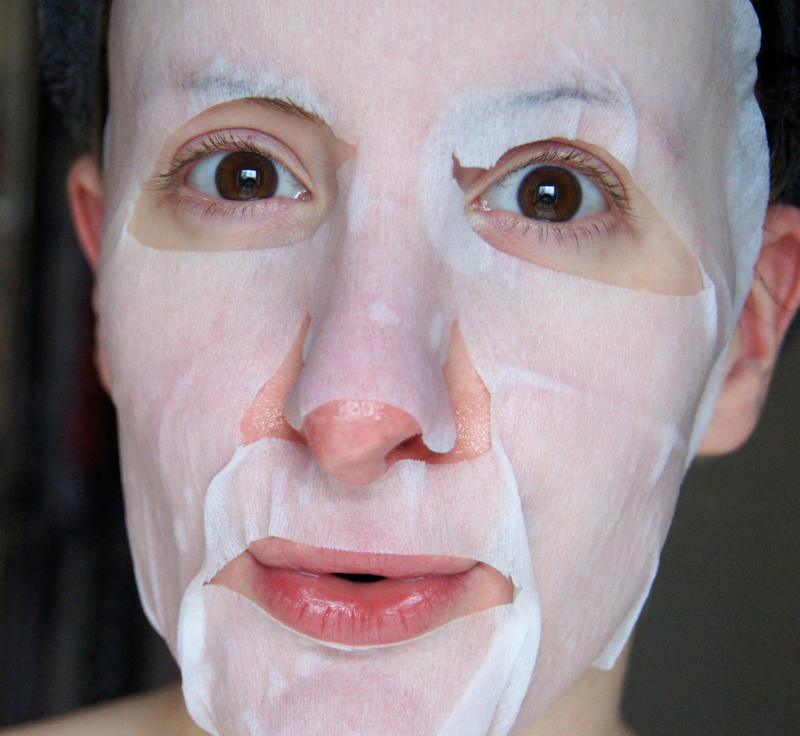 Following in the footsteps of the Korean, skincare-obsessed beauty market, sheet masks have now become all the rage here in the UK. Before now, I hadn't really sampled many of these popular treatments, so when the Very Radiant Gift Set* landed on my doorstep from MaskerAide I couldn't wait to test them out! Sheet masks work by trapping moisture and heat between a thin layer of material soaked in nutrient-rich serum and the skin, to provide a serious moisture boost that works deep down. What sets MaskerAide's products apart from similar masks on the market, is their ethical mindset and their promise of using the safest ingredients to create effective skincare that won't break the bank. Eco-friendly, their sheet mask material is made from sustainably-sourced tree pulp and, as a result, they're bio-degradable. Free from parabens, mineral oil, harsh dyes, artificial fragrances and other potentially harmful chemicals, MaskerAide masks are anti-bacterial and even suited to sensitive skins (although I'd always recommend checking the ingredients lists before purchase, if you have easily-reactive skin). The A Very Radiant Gift Set contains six masks, all of which are specifically formulated to tackle differing skin concerns, from detoxifying to brightening. Packed full of nourishing ingredients, each mask is infused with an argan oil-based serum along with plenty of vitamins, natural oils and fruit extracts. Half of the masks are soaked in a lighter, clear, gel-like serum (Detox Diva, Pre Party Prep and All Nighter), whilst the other half contain a creamier, more intense version (Weather Warrior, Beauty Restore and I Don't Wanna Grow Up). MaskerAide recommend saving the heavier masks for evening use, but I found both type of masks to work well morning and night, for my drier skin. With each mask, you first cleanse your skin as normal and follow up with your toner of choice. Next, you gently unfold the mask you want to use and lay it over the face, making sure to line up the holes with your eyes, nose and mouth. Personally, the one-size-fits-all masks are slightly too large for my face, so they don't sit totally flat around my nose and jawline. But, despite not fitting perfectly, the masks don't slip and slide around and there's no need to lie back completely still to prevent them from peeling off. Each mask is very moist, but the serum is thick enough that it doesn't drip or run down the face whilst the sheet is on. To prevent waste, I like to massage any excess gel left behind in the packet into my neck, chest and onto the back of my hands. For maximum effect, I prefer to leave the masks on for around 20 minutes, but anything from 10-20 is advised. After use in the evenings, I pat the residue into my skin and then wait a while before applying my regular moisturiser over the top. If I apply the masks in the morning, then I gently rinse off any leftovers before continuing with the rest of my skincare steps. As you may expect from the name, the All Nighter (awaken, replenish and refresh) will rescue the skin after a long night. One morning after going to bed in the early hours (a few gin and tonics may have been consumed), I reached for this mask and it really worked wonders to brighten my dull complexion and tired eyes. Infused with peppermint oil and aloe, this was by far the most refreshing mask and really helped to wake me up. That grey cast that a hangover gives you was washed away and any puffiness was completely reduced. A lot of exfoliating, detox masks can sting when applied, but my favourite of the bunch, The Detox Diva (cleanse, exfoliate and detoxify) just feels nourishing and gentle. Using Seaweed and fruit extracts, this mask helps to minimize pores and lift impurities. Once removed, there's no redness or aggravation whatsoever, just a completely clear complexion. 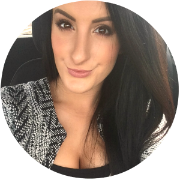 The pores in the areas around my nose and chin, where I occasionally suffer from blackheads, were less noticeable and not as blocked. Just like the other masks, this one left my skin feeling hydrated and happy, not stripped or tight-feeling. Funnily enough, the Pre Party Prep (brighten, prime and energize) makes the perfect skin treatment when prepping for a special occasion or event. When getting ready for a friend's birthday celebrations, I slotted this mask into my skincare routine and it made such a difference. Thanks to orange oil, super fruit extracts and honey, my skin was left looking radiant and feeling plumped, creating an ideal canvas for makeup. Not only did my face have an illuminated, dewy glow to it, but my foundation went on so smoothly and looked flawless all night. I didn't actually get the chance to try the Weather Warrior (calm, soothe and heal) as I caught my boyfriend sneakily using it after shaving, one night. Although he isn't a skincare buff, he said it really did help to calm his irritated face and settle down the redness he usually experiences. Although the scent of Aloe, Green Tea and Witch Hazel wasn't his cup of tea, he did ask me if I had any more of them for his next grooming session. After being exposed to the bitter winds and icy temps recently, my dry skin has been in need of some TLC. So, to combat the negative affects of the winter weather, I used the Beauty Restore (restore, regenerate and repair) mask. Straight after removing the Green Algae and Vitamin E infused sheet, my skin looked so even and clear. Any dry patches were softened and smoothed and my skin felt so comforted. Seeing as fine lines and wrinkles aren't a major concern for me just yet, I don't think I experienced the full effects of what the I Don't Wanna Grow Up (lift, firm and soften fine lines) mask could deliver. Yes, it may contain an impressive ingredients list, including Collagen and Elastin, but I didn't notice any extreme differences in my face. It did leave my skin feeling firm and almost tightened, though. I'm sure this would be a great quick-fix to use before a special event, but would the mask have long-term effects? I doubt it. As a weekly treatment to keep the face well moisturized or before a special event to get skin glowing, these sheet masks are perfect. Ideal for travelling with, the individual packets are so handy and mess-free. I've loved using them and can't wait to get my hands on more! 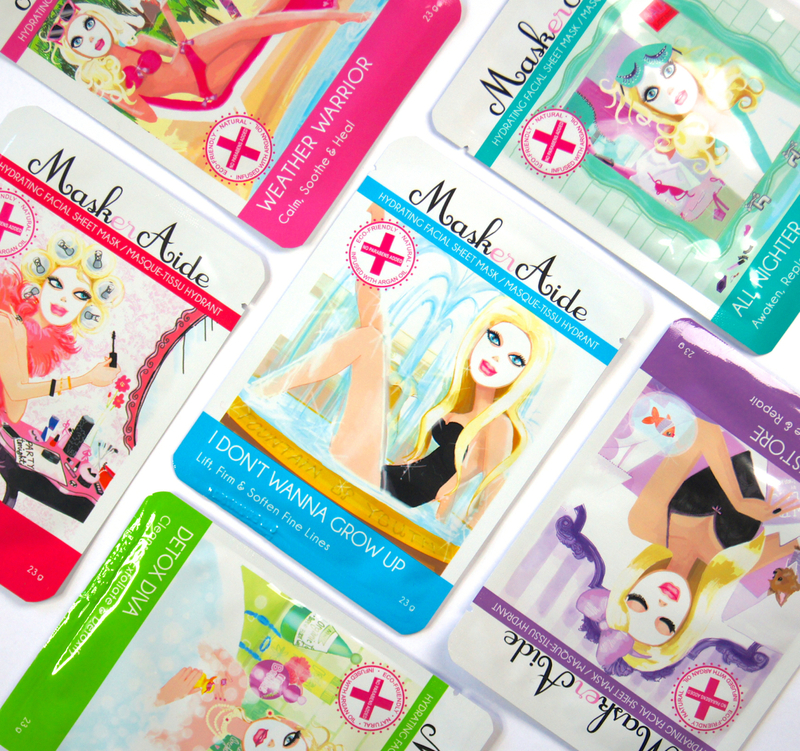 On the brand's website, the MaskerAide masks retail at $6.99 each, but in the UK, the masks are available at Marks & Spencer and Selfridges for £5 each. What are your thoughts on sheet masks? Have you tried any from MaskerAide? Now these sound lovely! I bought some sheet masks on my trip to Singapore last year, but I cant even read half the ingredients, so it has been a little hit-and-miss when applying them. I've never heard of sheet masks before. They look amazing though. I have tried only Sephora sheet mask and the same mask but for under eyes. I purchase the one that has brightens up effect and really liked it. If I have chance to visit Sephora again one day I will definitely repurchase it. Was't too impressed of the under eye one, tho. Didn't make any difference. These sounds amazing. Might get my hands on some of them... Thanks for sharing, lovely. Oh wow, I absolutely love the sound of these. My skin has been despertely needing an extra boost of hydration recently and these sound so perfect for that!